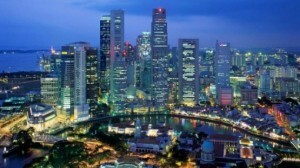 The term “Little Red Dot” is a famous term in Singapore. 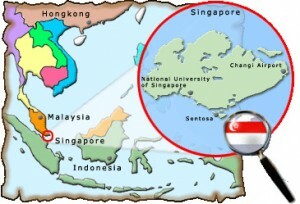 It is actually a term that is given to Singapore because of the fact that in maps, Singapore has a red dot because of its small size. This term was first coined by Indonesian President Bacharuddin Jusuf Habibie as a form of criticism to Singapore. It was published in the Asian Wall Street Journal that President Habibie called Singapore as the red dot who treats Indonesia, the green dot, not as a friend. The remark was purely political and economical as Indonesia needed help from Singapore at that time and Habibie seem not to see assistance from them. This happened in 1998. 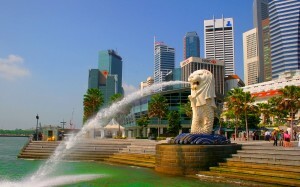 In the same year, Prime Minister Goh Chok Tong, leader at that time responded to this speech saying reiterating the ‘red dot’ state of Singapore and its capability to provide only little help to Indonesia’s economy. In 2003, this term was revived again as a reminder how weak Singapore was and how this can serve as an inspiration for this country to strive now. Prime Minister Lee Hsien Loong in 2003 used this term again on his speech saying that the ‘red dot’ is an epithet they would always be thankful for. Until now, red dot is known to many Singaporeans. This term serves as a reminder on how weak they were and how they went up because of that weakness. However, Habibie on 2006 aid that his remark about Singapore being a red dot was not intended for insult but to actually praise Singapore on their capability despite their small number.